"The 66", originally the Johnston Brother's Garage, was completed in 1935 by Harry Joyce. The large windowed corner area of this structure housed new automobile sales. 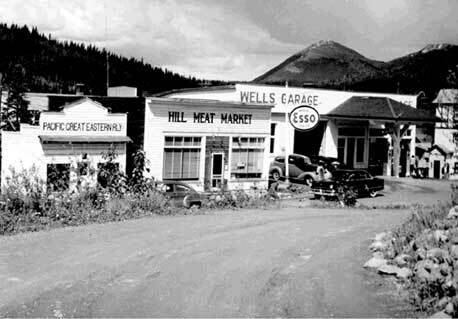 The center canopied area with office behind, handled the day to day business of front end sales while the largest portion, next to Island Mountain Arts, was its service and repair center. Today it is being used as a woodworking facility, while being restored, somewhat, to its original layout as a multi-space business and office complex. It is planned that eventually it will house seven businesses, three on the top floor, and four on the ground floor. The foundation, structural exterior walls and roof have all been partially or wholly replaced. It is an ongoing process and is being as time and money permit. The owner has been working on it for the last five years and has owned it since 1990.